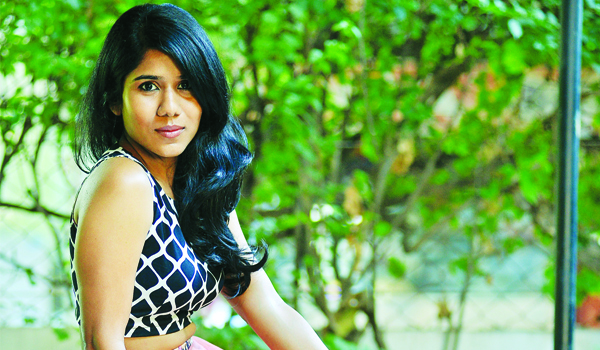 Fashion enthusiasts can take a leaf out of 31-year old Archana Abrahama��s look book. The fashion obsessed Archana started her label Minkatou this January because she could never find the right fit. a�?While Ia��m happy buying my western clothes off the rack at high street brands like H&M and Zara, Ia��ve never found Indian silhouettes that fit me well or suited my taste,a�? she explains. Her recent debut exhibition at Radhakrishnan Salai saw some chic crop tops and long skirts in soft hues and striking floral prints, modern draped saris in unexpected geometric prints with a splash of colourful embroidery, harem pants and more. The former copywriter, who likes working with opulent tulle and jacquard, besides soft silks like chiffon, and even a bit of viscose, says she has been customising her own ethnic wear for years. Then last October, her best friend Mathangi insisted that she design her trousseau. a�?It was a huge project but it was the most fulfilling four months ever. The outfits turned out really well and Minkatou was born,a�? she says. Even though the Chennai girl doesna��t have a degree in design, she makes up for it with her innate sense of style and penchant for colours and rich embroidery. a�?Minkatou is fun, but ita��s vibrant, flirty and understated, too. My clothes make a statement without screaming for attention.a�? she says, introducing her brand. a�?I love embroidery. I feel even the tiniest shoulder patch adds so much character to an outfit. I make both western and ethnic outfits, but I like that my Indian clothes are not typically a�?Indiana��.a�? The Stella Maris English literature graduate has been building a steady base of followers a�� women, men and even a few kids, since January this year. a�?I love pastel shades and playing with prints. I don’t think men should be stuck with boring options either, so I love designing bold, printed raw silk bandi jackets for them.a�? We really like the Sarah Jessica Parker-inspired hot pink tulle skirt and crop top silhouettea��both chic and dramatic. a�?My mum Zoya especially has been a huge inspiration. She has been mixing prints for years, long before Masaba made it fashionable,a�?signs off the designer.